wooot i see some green. Very nice. 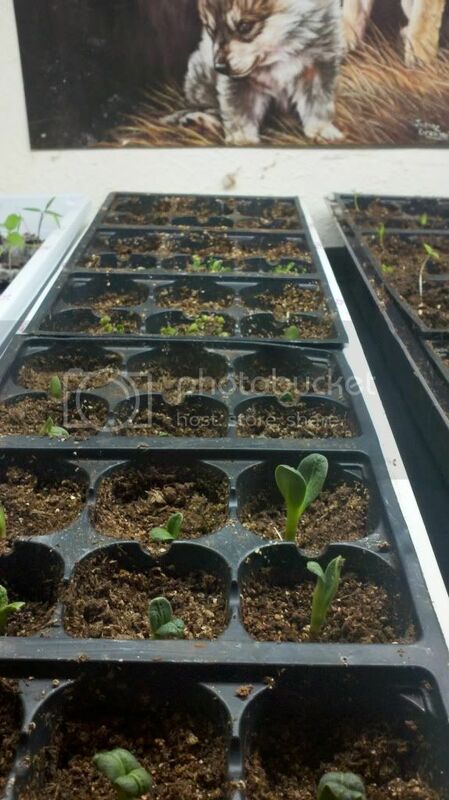 Looks like you will be doing some culling or transplanting. Keep us posted. I looked before breakfast this morning but didn't have any coming up. Then a couple hours later I looked and I've got some broccoli coming up!!! Looks like a grey mouse in that cell. Lol it did look like a mouse but it just dirt. 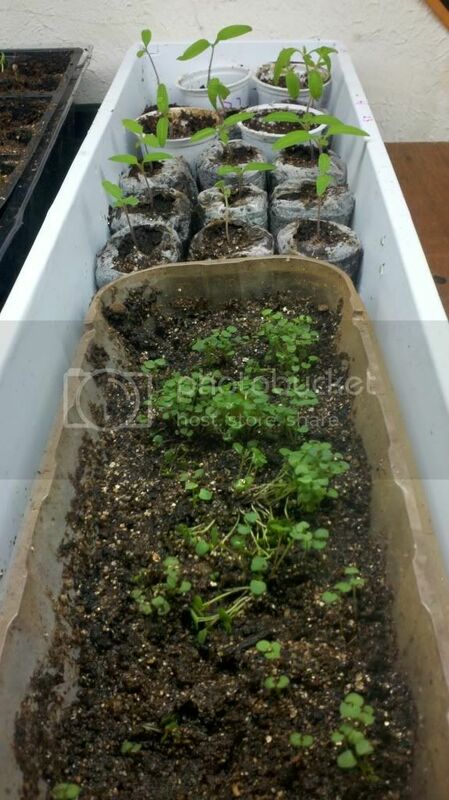 If you are going to cull/ thin (because you have too many seedlings), just take a little nail scissors or something like that and clip the extras off at soil level. That avoids disturbing the root systems of the ones you are keeping. Even for that, I'd wait a little while (like a few more days), because you will have a bit better sense of which ones are thriving and which ones aren't. 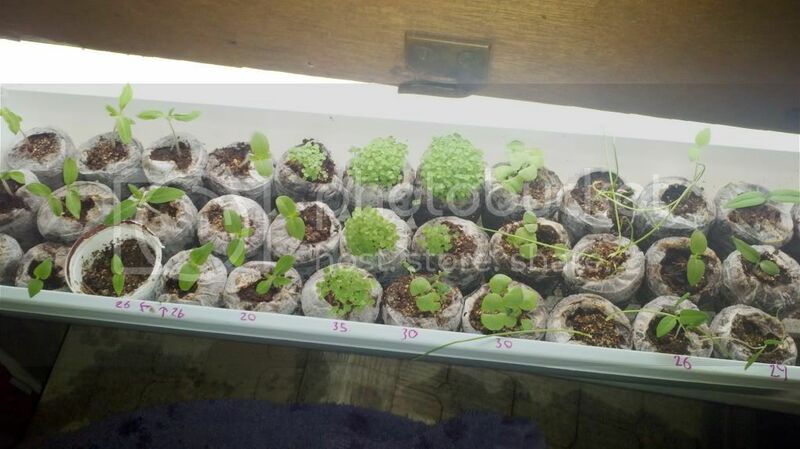 For transplanting, I'd wait longer, until they are at least starting to get true leaves (ordinarily, I'd wait until they have true leaves, but unless you do some thinning, they are very crowded). Then you can just stick something like butter knife or popsicle stick straight down in the soil and lift up from underneath. When they are so crowded, you will likely have to lift a few up together. Once they are out of the cell you can gently tease them apart. That will allow you to examine the root systems and keep the best rooted ones. Just make a good hole/space in the new cell or pot it is going to, lower the little seedling into it and firm the soil around it. 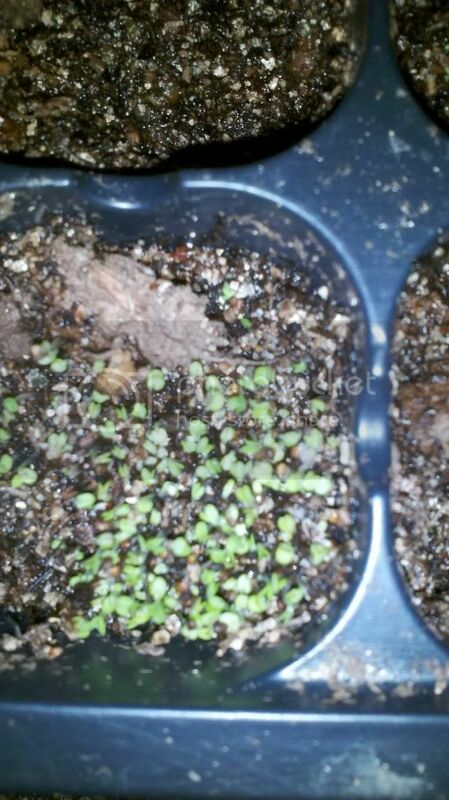 I've tried different tools for pricking and transplanting. A sharpened pencil is all I use now. So will each sprout become a plant? I have some little cups about the size of shot glasses. Take them off the heat mat. And put them under a grow light. Hope I did this ok. 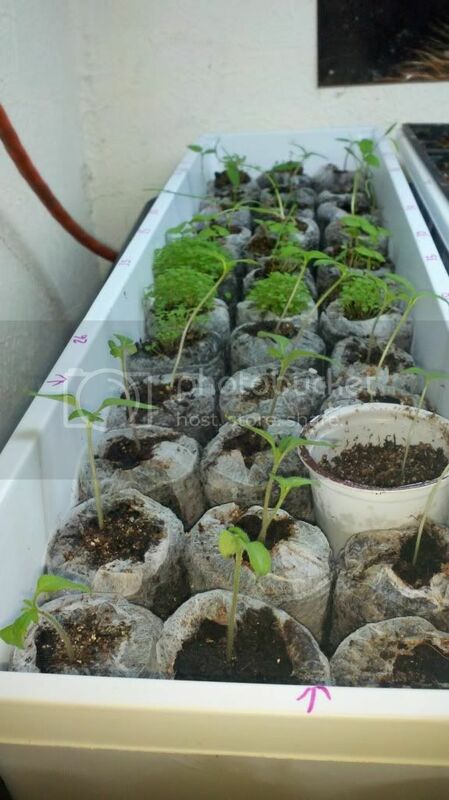 In the small round ones are single plants of tomatoes and bell. The long one is oregano in small clumps. But yes, one sprout becomes one plant, if it makes it and the vicissitudes of nature don't intervene. And yes Mg is right that properly thinned and spaced plants do much better than over-crowded ones. Marlingardener wrote: HannahGrace, your broccoli will grow rapidly--better get up in the middle of the night to check it ! Just kidding, although I have been tempted . . . .
LOL! I know what you mean! I catch myself checking my stuff all the time. They had a long stright 1 inch root. When can you move herbs? 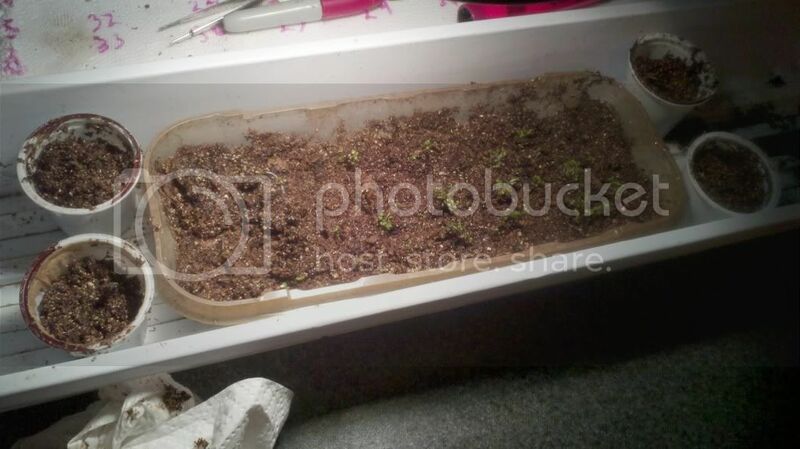 You can see some herbs there's so many little sprouts do I need to thin them down to single stems?